The Economic Community of West African States (ECOWAS) has invited the U. N. Security Council to help enhance the mandate and strength of the peacekeeping mission in Mali to carry out its mission in the applying the Ouagadougou Agreement. ECOWAS said the invitation was necessary to help Mali effectively regain sovereignty throughout its territory, including Kidal. The invitation was contained in the Final Communiqué of the Extraordinary Session of the ECOWAS Heads of State and Governments held on May 30, 2014 in Accra, Ghana. ECOWAS reaffirmed its commitment to preserve the unity, integrity and sovereignty of Mali and demanded the immediate withdrawal of non-state armed groups from public buildings and occupied areas, and return to their pre-17 May positions. The Heads of State welcomed the initiatives of the United Nations and African Union Chairman, Mouhamed Ould Abdel Aziz, President of Mauritania, for facilitating the signing of a ceasefire agreement between the Government and the non-state armed groups in Northern Mali on 23 May 2014. They urged all the stakeholders to strictly adhere to the sacrosanct nature of the ceasefire agreement and ensure its application, whilst the Malian Government with support from the International Community is to find a political solution to the issues at stake. The Summit reiterated its earlier call on the Government of Mali to take full responsibility for, and expedite the preparation and conduct of the inclusive Inter-Malian Dialogue. The Communiqué further maintained that ECOWAS fully supports the actions of the recently appointed High Representative by the Heads of State to lead the inclusive peace talks with the rebel groups and all the communities in Northern Mali. The Summit also urged the Malian Government to effectively constitute a Truth, Justice and Reconciliation Commission to expedite the process of national reconciliation, unity, integrity and stability of the country. According to the communiqué, the Heads of State reaffirmed their commitment to the inclusive Inter-Malian Dialogue, in line with the Principles of the Ouagadougou Preliminary Agreement. They expressed their availability to support any effort by the Malian Government aimed at finding a lasting political solution to the crisis. In a similar development, ECOWAS has condemned the deplorable acts of violence and killing perpetrated by separatist and terrorist groups in Kidal and its adjoining towns in northern Mali. The authorities also condemned the hostage-taking and seizing of administrative buildings in Kidal between May 17 and 21, 2014 and reaffirmed their determination to actively combat the threats posed by terrorism to regional and international peace and security. The Heads of State further expressed deep concern over the recent deterioration in the security situation in the Kidal region as well as over the bloody and recurrent attacks perpetrated particularly by the Boko Haram sect in parts of northern Nigeria. 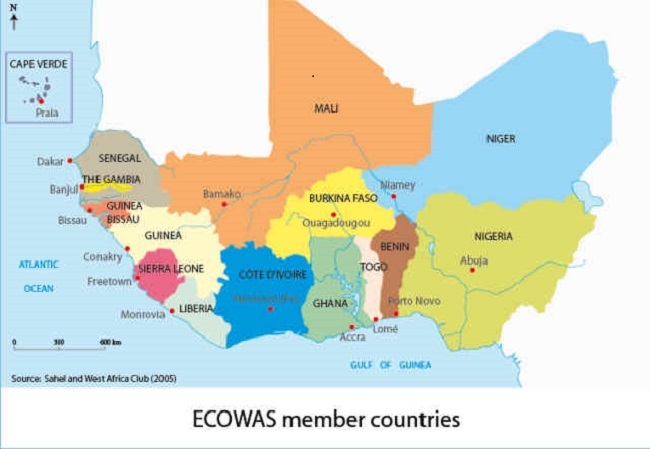 The ECOWAS leaders said they believe that the assassination of defenseless civil servants in the performance of their duties constitutes a flagrant and deliberate violation of the Ouagadougou Agreement. They expressed solidarity with Mali and Nigeria and requested that perpetrators of these atrocities be identified and punished according to the law. The Heads of State a paid tribute to members of the Malian Defense and Security Forces as well as civilians killed during these recent events, and offered heartfelt condolences to the bereaved families.